Ohio lawmakers hoping to patch a $1 billion shortfall in funding for state transportation projects indicated Thursday they were willing to consider increasing the 28-cent-per-gallon gas tax to do it. Transportation experts believe the average driver uses about 545 gallons of gas per year. 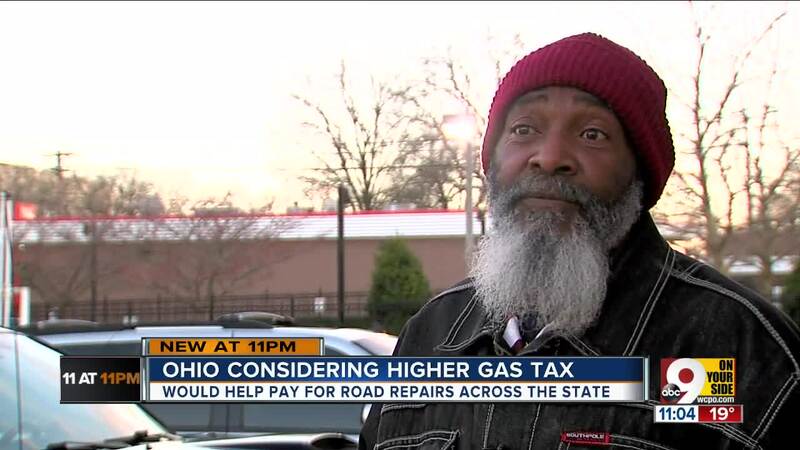 In Ohio, that driver would pay roughly $152 in gas tax annually. A modest increase of 2 cents would boost that total slightly to $163.50; a larger leap of 10 cents would push it up to $207. The state would then use that additional income to treat Ohio’s many festering infrastructure wounds, including the obsolete Brent Spence Bridge connecting Cincinnati to Northern Kentucky. Other approved road and bridge projects across southwest Ohio with uncertain funding include work on the Red Bank Expressway, wrapping up the Interstate 275-U.S. Route 32 interchange, and work on Old State Route 74, among others. Legislators are ready to explore the option of a tax increase to get them done. Are Ohioans? June Cannon agreed the potholes were a major problem — some so big they were “like truck holes, you could say” — but said she would rather see a funding proposal that didn’t involve a higher gas tax. The last time Ohio increased its fuel tax rate was in 2006. New Gov. Mike DeWine’s state transportation budget for 2019 will be due by the end of March.